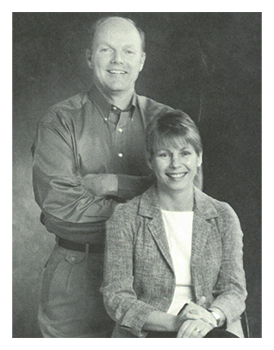 Founded by Pete and Sue Jacobson in 1976, Lake Country Builders leveraged Pete’s love for carpentry and Sue’s expertise in retail and customer service. Equipped with a tool-filled van, a will to succeed and a passion for helping customers realize their dreams, the company was built job by job, home by home and year by year. 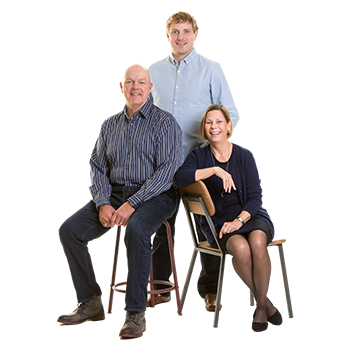 The strong values and ethics that defined Lake Country Builders at its birth were cultivated as the company grew. 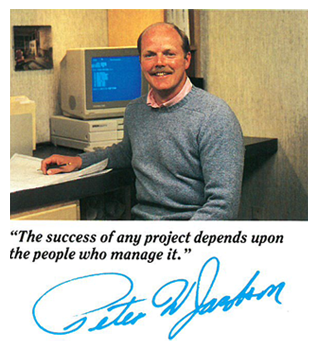 Throughout the 1980s, the company built a dedicated work force and developed strong business relationships that supported ongoing success. By 1985, Lake Country was being recognized as a smartly managed, quality-conscious labor force that stood behind its work – and its word. The excitement continued in the ’90s with the addition of architectural design services that transformed Lake Country Builders into a Design/Build remodeling firm. Soon we were capturing major design awards, culminating in being chosen “One of Minnesota’s Best Builders” by Minneapolis St. Paul Magazine and being recognized nationally as a “Big 50” Remodeler. 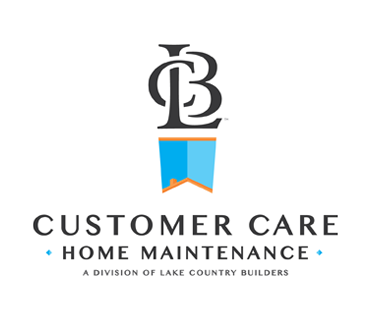 Continuing our quest to be a full-service builder, we created a Customer Care Home Maintenance™ division in 2001. 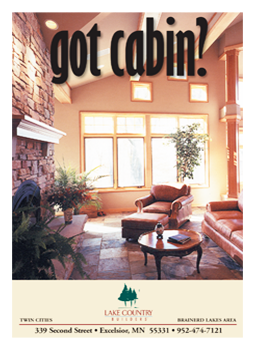 In 2002, Lake Country Builders was “lured” up north and our Brainerd Lakes Division was born. For many Twin Cities clients, our ability to help them design a cabin remodel or rebuild from our Excelsior office allowed them to truly enjoy their days off up north. In 2005, we added the Northwestern Wisconsin division. So customers can experience the same Lake Country care and quality in three locations and beyond. In 2012 we felt the need to create our Stay at Home division. At Stay At Home, our mission is to create a safe, beautiful environment for homeowners who wish to age in place. You can expect the same level of quality and service in all our projects. From our humble “two person” beginning, we have grown to a staff of over twenty wonderful and talented people, all waiting to serve you with a smile. Customer service is the value underlying all of our work. It’s the Lake Country way, and we’d love to put it to work for you! In 40 years we have learned what is important and what our focus is moving forward for the next 40 years. Our focus is to do great work for great people. 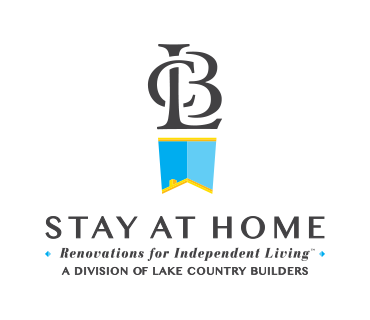 We will continue to remodel and build custom homes as well as provide services for smaller projects with our Customer Care division, Ageing in Place projects with our Stay at Home division, and second home and cabin projects with our Greater Minnesota and NW Wisconsin divisions. Our client base are professionals who want a comprehensive, well-orchestrated experience, no matter what the project. We are dedicated to giving our clients the best service and project from start to finish. 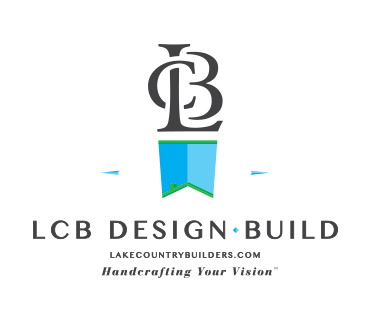 Moving forward a big part of Lake Country Builders future will be the result of Patrick Jacobson’s voice and experience as he continues to handcraft the vision of Lake Country Builders.